P0932. 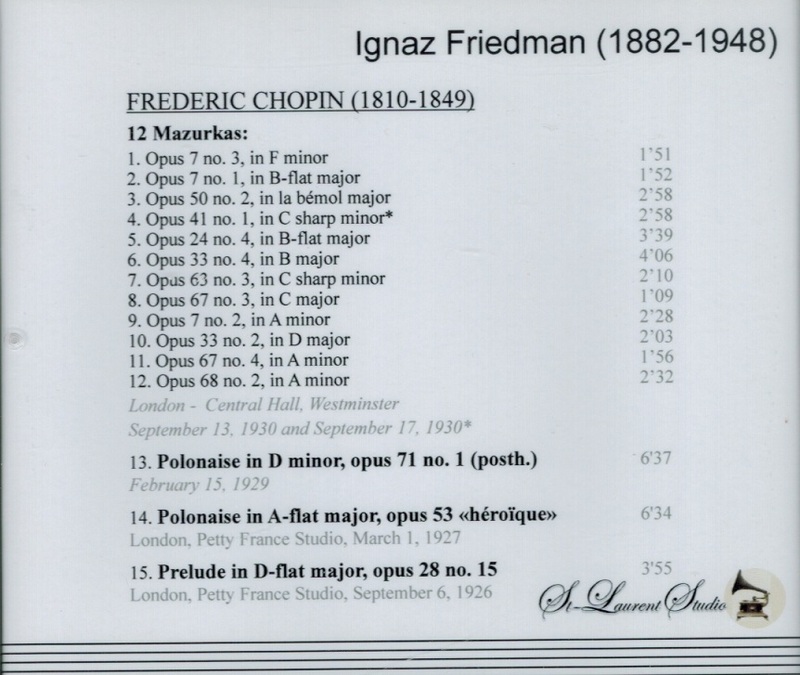 IGNAZ FRIEDMAN: Chopin Recital. (Canada) St Laurent Studio YSL 78-117, recorded 1926-30. Transfers by Yves St Laurent. 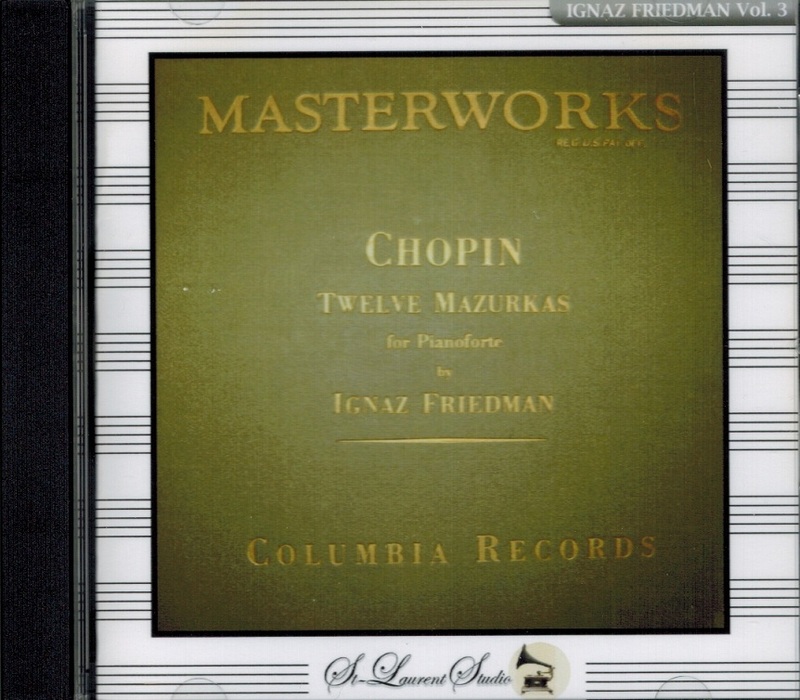 "The Freidman 1930 Mazurkas rank along the Godowsky Nocturnes as classics of the style: explosive rhythmic propulsion, a heavy-footed, peasants' dance that carries a rough edge in spite of the suave rubatos Friedman applies. No repeat appears as an exact replication of a former incarnation: slight variations in tempo, pulse, dynamics, and agogic accent keep one dramatically interested. The A-flat Major, Op. 50, #2 may well be a rediscovered masterwork here. 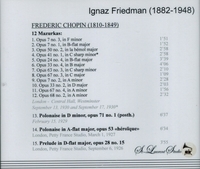 Tempos are generally quick, but Friedman's detache and non legato are so lithe we remain suspended in space. The wonders of the E-flat Nocturne have long generated critics' ink. If Friedman is an unknown entity to your collection, start here."